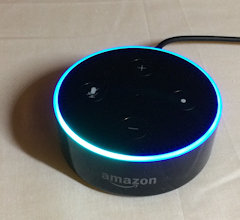 Tips on securing the Alexa service on Amazon Echo devices, notably voice purchasing, a topic brought into focus by the recent “San Diego dollhouse TV story”. Warning: if you plan to read this article out loud in the vicinity of an Amazon Echo device you may want to turn off its microphone before doing so (for reasons that will become clear in a moment). The Amazon Echo has been around for a while, but because it was such a big seller this past holiday season, a lot more people are being exposed to this technology for the first time, exposing certain misconceptions about how it works. The longer version of this story began last week, in San Diego, California, which is where I live. A local TV station did a piece about a six year-old girl who ordered a $160 dollhouse from Amazon, via Alexa, without her parents’ knowledge or permission. At the end of the story, when the anchorman repeated what that little girl was reported to have said – Alexa, order me a dollhouse – people in San Diego started calling the TV station to complain. Why? Because the Alexas in their homes and offices had started to respond to that request. So how could this happen? 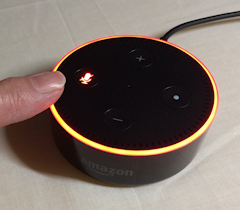 Amazon Echo devices connect to your smartphone, and your internet connection and, if you have one, to your Amazon Prime account (with its streamlined 1-Click ordering capability). 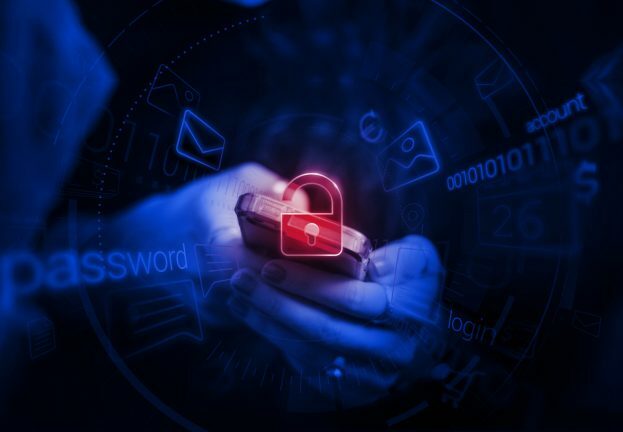 That means they have a lot of information and processing power at their virtual fingertips, as well as extensive digital communication capabilities, not to mention financial resources (your preferred method of payment). And the Echo is designed to respond to the human voice. If you say “Alexa what is the weather?” within 20-30 feet of the device it will answer. It can speak to you through its speaker or one you connect to it, either wired or wireless. 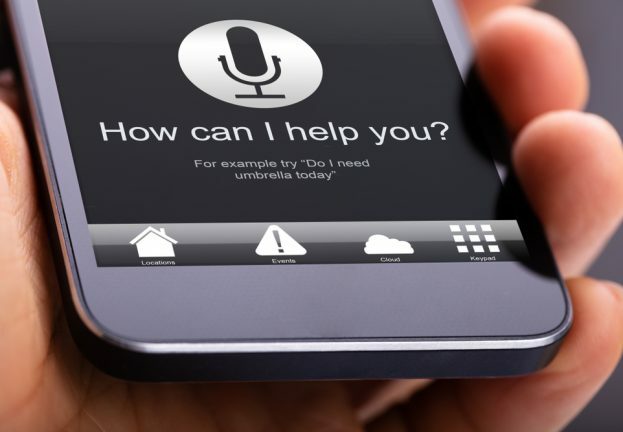 Let’s be clear about what is meant by “respond to the human voice.” At this point in time, pending changes to the product, it means “responds to any human’s voice” and not just the voice of the person whose installed it or whose account is linked to the device. That means it could be the voice of a guest, a child, or a roommate. All of them could potentially buy things on your account if you’re the one who set up the device and you didn’t change the default settings – about which there will more in a moment. So a lot of people have been learning what XETV in San Diego discovered: the list of potential users of your Alexa includes people on television (see “News anchor sets off Alexa devices around San Diego ordering unwanted dollhouses“). How can this be? Well, the standard settings on a freshly installed Amazon Echo make this all very easy. Consider this scenario: you and your friends are discussing drones and you decide to ask your newly installed Amazon Echo which drone is the most popular; you say “Alexa, what is the most popular drone?” Alexa will respond by telling you the make and model and price of the most popular drone sold on Amazon. In one sense that’s pretty cool. The technology is impressive. But immediately after giving you those details, and I mean without even taking a breath, Alexa will say: “do you want to order?” If you say yes, tada! The item is ordered, charged to the card you listed in your 1-Click settings at Amazon.com, and shipped to your designated 1-Click shipping address. And get this: you can’t tell Alexa you have changed your mind. If you ordered in error you have to use the Alexa app or Amazon website to cancel the order. At this point you might be thinking: “just say no!” But here’s what happens in that scenario. If you say no to Alexa’s offer to ship you that first drone suggestion, then it will proceed to tell you about a different drone and ask if you want to buy that one instead. Based on my own research, I think that’s how you end up with a $160 dollhouse. Alexa’s first pick for a dollhouse costs about $80, but the second pick costs twice that. Basically, your child or roommate doesn’t need to know the make and model of the thing they want; Alexa is more than happy to supply multiple suggestions. So how do you say no? How do you make this stop? In a moment I will get into changing the default settings for Alexa, but even before you get to that point you might want to know how to cut Alexa off when she is talking and pitching products. I tried this on the test device in my office and it works, but it would be nice if the product came with clearer instructions about how to control it at such a basic level. I found you can also say “Alexa cancel” and that will stop the current activity but bear in mind that phrase does not work to cancel an order after it has been placed. What is not easy is having a conversation about Alexa within earshot of the device. There are a couple of ways around this. One is to turn off Alexa’s microphone – that’s what is happening in the picture above where Alexa is glowing orange instead of blue. 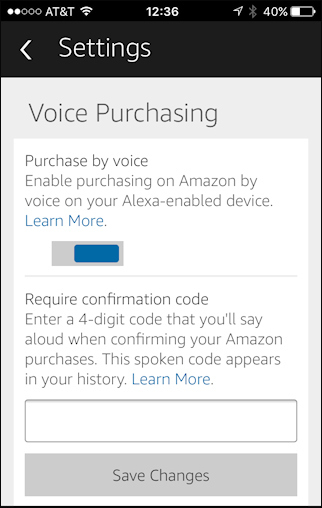 Another option is to change the trigger word from Alexa to Echo or Amazon. However, both of those alternatives could easily come up in conversation. I would not be surprised to see Amazon upgrade the Alexa software at some point to enable you to choose your own trigger word. At this point you may be thinking that this is all very interesting, but in terms of cybersecurity it’s no big deal. After all, an unexpected dollhouse on the doorstep might be a tad inconvenient, but it pales in comparison with something like a ransomware attack that encrypts all of your family photos and holds them for ransom. In many respects I agree, but I do see some potential security lessons in the Alexa dollhouse story. Products should never ship with “insecure” default settings. Security professionals have been through this discussion many times in the past. If the default install is “allow all” rather than “deny all” you are likely to get some amount of unexpected or unwanted allowing, like a TV broadcast ordering a dollhouse. Technology purchasing decisions, even domestic ones, should be preceded, or at least accompanied, by a risk-benefit analysis. 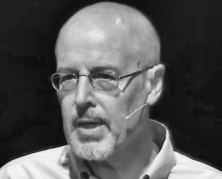 Consumers can do risk analysis, but they can’t do good risk analysis if they don’t have all the facts. Just to be clear, at this point in time I have no knowledge that Amazon is holding back facts. What I’m saying here is that the company could be more upfront about how the technology works and what its limitations might be. Risk tolerance varies between people. For example, some people stopped using the internet after the Snowden revelations. A certain percentage of people don’t bank online because they don’t think it is safe. And in the survey ESET did a few months ago, 40% of consumers were “not confident at all” that IoT devices are safe, secure, and able to protect personal information” (see Internet of Stranger Things). The security of any given technology depends on the environment in which it is deployed, and unfortunate realities can impose limitations. An open microphone to an artificial intelligence with the power to make things happen in the real world offers many benefits, and I have not yet seen any evidence that Alexa is being abused for malice or gain; but I am sure some people somewhere are thinking about doing just that. The potential for unexpected and unwanted consequences from deploying technology tends to increase in step with the capability and complexity of that technology. I don’t think Amazon contemplated about the TV news story scenario. Some of colleagues think Amazon did, but shipped anyway, perhaps figuring it is no big deal or, maybe Mr. Bezos decided there is no such thing as bad publicity. 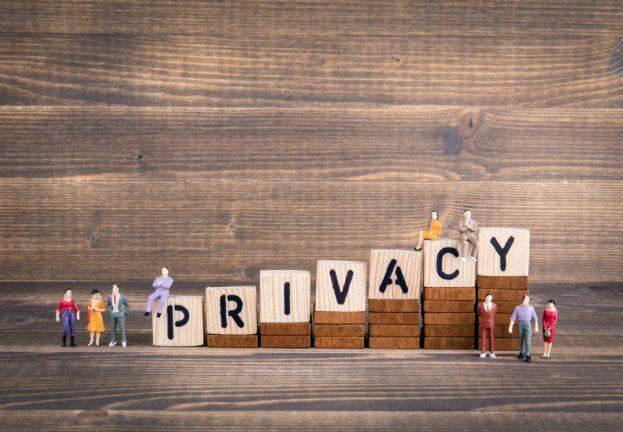 One other topic that frequently comes up in discussions of Alexa and other voice-enabled technology is privacy. Sadly, I have run out of room and time to discuss that aspect here. Fortunately, I did make some time over the holidays to explore more than one voice-activated IoT device and will discuss what I see as the privacy implications in another article.